Review sample kindly supplied by distributor Latham. 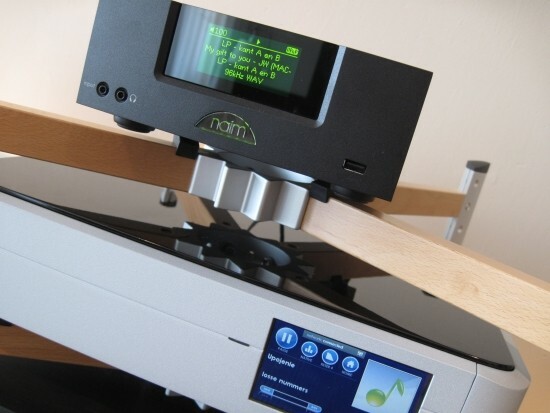 Naim currently have so many streaming audio products in their portfolio that you, like me, may have had to make a small study of what these various devices have on offer. It is my goal to shed some light onto this, as well as to find out how the Naim products compare to other streaming products out there, most of all, the PS Audio PWD. This is the very first Naim review I write, and kick off is with the Uniti range of products, more specifically, the UnitiQute and Uniti. First up is the UnitiQute, the Uniti’s little brother. The UnitiQute can be considered an all-in-one solution but that would sell its individual parts short. 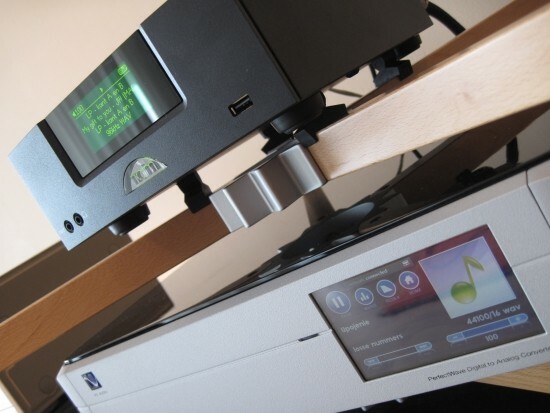 It is not just a compact all-in-one: it is a super-user-friendly wired+wireless UPnP/USB music streamer; an FM/AM/DAB tuner; a high-class DAC; a flexible preamp with digital and analog outputs and a 30w stereo poweramplifier. It is all these devices in their own rights. But the UnitiQute, like the Naim-, er, name says, unites them all into a coherent whole. There are 4 digital inputs (2 cinch, 2 toslink), one analog input (cinch), stereo preamp outputs (cinch), a wifi-antenna connector (antenna supplied) and of course stereo speaker connectors (banana/BFA). But that’s only the rear panel, there’s also the front panel which has a 3,6mm stereo jack/optical in, 3,6mm headphones and an Apple-licensed USB input for ipod, ipad, iphone and any other music containing USB device like a stick or drive. Incidentally, the built in amplifier isn’t just an afterthought: it is derived from the Nait 5i integrated amplifier. You’d think that all this functionality would come at the cost of user friendliness, but rather the opposite is the case. Unpack it from the box and the Uniti can be playing music from any source in your house within 30 seconds, without you ever having to read the manual. So, the UnitiQute is an integrated solution that connects to almost any device out there and has an integrated 2x 30watt stereo amplifier. It will play music from a network-attached-storage (NAS), be it wired or wireless, USB sticks and drives and also has regular analog and digital inputs. The cherry on top is that it connects flawlessly with any i-device and streams the containing music in pure digital form, licenced by Apple. What’s more: unlike the Wadia 171i and many of its counterparts, you don’t have to stare at the i-device’s screen for info and navigation. Instead, the ipod/iphone/ipad’s entire menu structure appears on the UnitiQute’s display, as well as on the i-device that you use to control it. To put it more clearly: you can remote control an UnitiQute-attached ipod with an ipad from the comfort of your couch. Very nice. 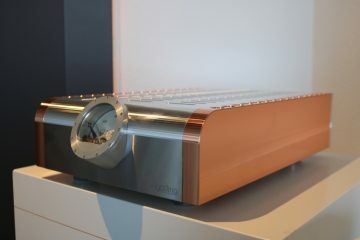 Before I look at the integrated amplifier section, first I want to see how the UnitiQute performs as a pure streaming device. Setup is dead-easy: connect it to ethernet (or wireless if you are so inclined) and the UnitiQute finds the NAS by itself. Within 30 seconds you can browse the NAS’ contents using the UnitiQute’s front panel nicely bright OLED display and the IR remote control. This works smoothly, quickly and flawlessly. But it gets even better when you download the N-Stream app on your ipad, iphone or ipod. This app only works with Naim equipment but is very sleek and intuitive. It is also a lot more stable than the PS Audio’s eLyric app, but that probably has more to do with the PWD than the app itself. After running the N-stream app, again, setup is dead-easy: you just select the device from an auto-discovery list and in a couple of seconds you’re browing the NAS and playing music. Setup is so easy and so intuitive that anyone can do it without a manual, even if you’re not computer-oriented at all. What’s more: not only does the N-stream app let you control track selection on a NAS: you can also control much of the UnitiQute’s functionality such as input selection and volume control. Well done Naim. One downside to the App and IR control alike is that there is no search function. I play a lot of 96khz LP recordings that consist of 1 track. Going to the next track or to the B side is not possible. Another downside is the lack of any playlist functionality. * You can play any track directly and it will play the consecutive tracks in order, but that’s it. Simple and effective, but slightly lacking in functionality. What’s going for the UnitiQute though, is its full control via IR remote. This is something that’s sorely lacking with the PWD. The latter may have a touch screen for various functions but you can’t do any browsing there, not even skip a track. Play/pause is all you can do with respect to transport control. What’s very typical when switching between the PWD’s inputs, swapping between UnitiQute and PWD, is that the basic sound, the tonality, is highly comparable. The sound is highly detailed and remains lively and dynamic; the bass is powerful and there’s lots of drive and the soundstage is wide and focused, no matter which streamer is actually streaming. The PWD’s dryness and lack of air in the treble is still there, indicating that the PWD’s DAC (and its output stage) is probably the culprit, not the digital audio retrieval and transport, again making me wonder what the PWD would be capable of if it had a digital output. The streamers weren’t entirely alike though, the PWD still winning out in terms of presenting a more living and breathing soundstage that spaces out instruments better and is more free from the speakers and it is this aspect that reminds me more of CD when done well. This in turn indicates that there might be something to PS Audio’s approach to streaming audio (the Lens in particular), seemingly indeed making the music more musical. In its defence though, the UnitiQute has the disadvantage of having to push its signal over spdif while the PWD has I2S internally, as well as the lense technology. Seen in this light, it is impressive how well the Unitiqute holds up. Especially speed and drive (PRAT) are unhindered and that is something that doesn’t come naturally with all digital sources. This is an interesting comparison because, as regular readers may recall, I found very few external devices capable of beating my best computer audio solution. The PWD showed very clearly where the computer was lacking (dynamics, soundstaging and drive mostly) but introduced a flaw in return in the shape of a lack of air, a slightly rough treble and some dryness. It’s time to get to the bottom of what the UnitiQute can do. For this, I setup the UnitiQute on its own Spider level, first on standard rubber Spider feet. Power supply is by means of an Echole Obsession powercord that admittedly costs more than the UnitiQute itself, but further powercord comparisons will follow. First I want to obtain the maximum quality and the Echole seemed to match well. The first source was the Synology NAS, connected via ethernet cable to a switch and again some meters of ethernet cable. The computer was connected to the same switch with the same type of ethernet cable. 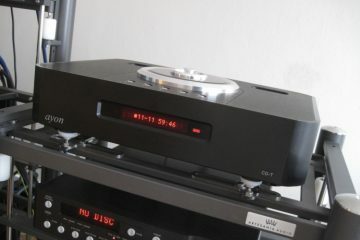 By this time, the little Naim had been powered on for 1 day and 1 night and felt nicely warm to the touch. Perhaps it needed more running in but I couldn’t wait any more. With much anticipation I went for tops and cued a 24bits 96khz WAV LP recording on the UnitiQute, sat myself down on the couch and hit play. Now here was a nice sound! This was what I recall lp sounding like when I recorded it. Well, maybe not exactly, as the real thing is still fresher, more emotional and more direct than a recording can ever be. Still, I was smitten with this sound. It had nice full and round bass and excellent detail retrieval. The sound was smooth, luscious, full-colour and, sigh, had all the treble air that I could wish for. On top of this there was no hardness, no dryness, no artifice… in fact, there wasn’t one area that I could criticise. This was just very, very good. Much better in fact than the same recording played on the PWD. 96/24 has always sounded airier and more fluid in all my experiments, but for some reason, the PWD doesn’t sound much different playing 96/24 than when playing 44/16. LP recordings, played on the PWD have excellent drive and focus, as well as reference-class stability and authority and sound really acoustic and non-artificial, but there’s always that lack of fluidity and treble air, to remind me that this is not real lp playing, but a recording. The UnitiQute in comparison feels much more like the real thing. Swapping to Winamp playing the very same file, from the same NAS, using the M2Tech HiFace EVO usb-spdif interface, going into the same Mark Levinson 360S DAC, I only needed 10 seconds to entirely disapprove the resulting sound. Even though this sound was even airier and slightly more nuanced than the UnitiQute, it was also a lot more synthetic and there was no doubt that this sound was coming from a computer source. Also clearly evident was a lack of rhythm. The computer sounded more tired, like playing with the hand brake on. The same effect was noted when comparing the computer to the PWD, but the UnitiQute somehow managed to upkeep this excellent PRAT while avoiding any dryness. I am impressed. There is only one other device that managed to evoke such an emotional response from me and that was the Ayre QB9 USB DAC that I reviewed some time ago. Between the two there’s no such thing as a winner or loser because they sound entirely different. 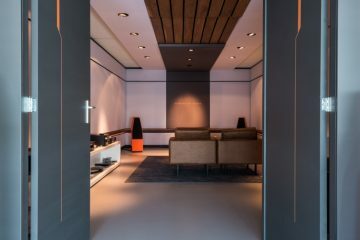 Ayre is all about efforlessa, room-filling, sumptuous, spacious, free-flowing soundstaging and unforced, natural delivery while the Naim is much more a neutral, full-on emotional performer. The Naim lacks the Ayre’s extreme resolution and gentle finesse but is much more colourful, more lively, has more drive and slam and, importantly, has a very satisfying deep and solid bass. This was the most exiting part for me because now it really gets down to it: UnitiQute connected digitally to the Levinson 360S dac, versus the PS Audio PWD by itself. A quick comparison to the PWD was made already, as you have read above, but that was only comparing the streaming sections using the PWD. 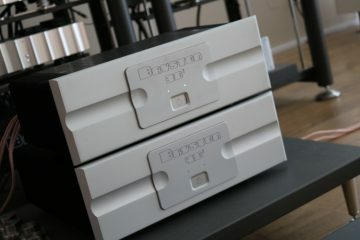 Now I want to know the ultimate that the Naim is capable of, when connected to my preferred Levinson dac. Listening to the UnitiQute/Levinson combo, from the first notes onward, I notice how very pleasing and relaxed the sound is. There’s a deep, full, round bass with plenty of drive, a luscious and warm midrange and an extended, airy and very fluid treble. Soundstaging is wide and deep, and, again relaxed, it isn’t jumping at you like with the PWD. With the little Naim there’s just never the impression of listening to computer audio. It’s more like listening to a good cd player. Now, bear in mind that I didn’t say that it is as good as a reference-class cd player. My Levinson 390S still performs at a higher level, but for computer audio it has thus far proven impossible to equal this level of music replay. The Ayre QB-9 comes close to this ideal and actually beats my Levinson 390S in some respects such as low level resolution and refinement but lags behind on other aspects. Likewise the PWD, which also comes close with its Wadia-like super-solid and super-live character. Still, my good old Lev’ isn’t beaten entirely. Then there’s the UnitiQute. This one I would say, sails along sideways of both the QB-9 and PWD, offering sound at the same level, but balanced out again entirely different from the other two. All three streamers have impressed me in their own ways and all are better than the plain computer-usb interface solution. 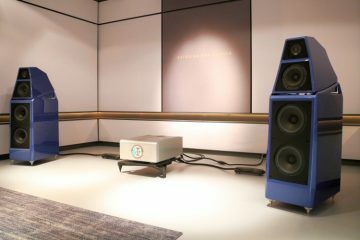 The Ayre stunned me with its Jeff Rowland-like refinement and utter lack of electronic signature, the PWD is immensely enjoyable with energetic music and the Qute (when combined with the Levinson 360S dac) is perhaps the most musical of the three, making smooth and engaging music while not putting a foot wrong. Revisiting the LP recording comparison, this time the UnitiQute versus the PWD, I started to notice that the Qute-Levinson pairing may be a little bit over-smooth. While the sound is super-airy, full colour, and has excellent rhythm, it is sometimes just too relaxed and lacks some attack and live-ness at times. The PWD in comparison is more authentic, more open in the midrange and also more forward. It illustrates quite nicely where the Qute-Levinson pairing is less accomplished. But in turn, the Levinson-Qute combo illustrates just as clearly where the PWD is lacking. It seems once more that you can’t have your cake and eat it. Or can you? The first comparison I made with the PWD showed that the Qute can be just as lively and dynamic as the PWD itself when using the latter as a pure dac. I know that (contrary to popular belief) the Levinson is never analytical or clinical and in fact very musical, but it can be a little over-smooth and perhaps this pairing isn’t the best possible. Experiments with powercords and the supporting feet did help with this though. A Belden powercord with IeGO connectors turned out to evoke more liveliness and attack from the Qute and swapping the standard rubber Spider feet for Ceraballs did even more. Interestingly, after swapping the hugely expensive Echole powercord for a Belden only brought improvements. I didn’t miss the fine detailing that the Echole is capable of, nor did I find the Belden to be as dry as it normally is. Apparently, the Belden is very synergetic with the Qute. In its optimum tweaked state, the Qute-Levinson Combo is an immensely musical and enjoyable music machine and it comes highly recommended based on its streaming merits alone. Even though the PWD still manages to sound a little bit more real in the midrange (Piano has more body and substance), I cannot ignore that the PWD just sounds a little rough and definitely lacks some treble sparkle and in the end I think that while my head prefers the PWD, my heart prefers the Naim. Now, remember the comparison I made in the beginning? The Qute sounded much like the PWD when feeding the PWD as apure dac, in power and dynamics at least. 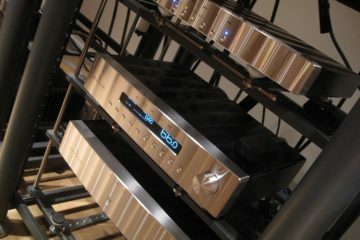 I have no doubt that the Qute is capable of even more, when combined with a dac that’s a little livelier than the 360S. I wonder what would happen if I combined the Qute with the Wadia 27ix! But that dac is back to its owner so I can’t try it out. 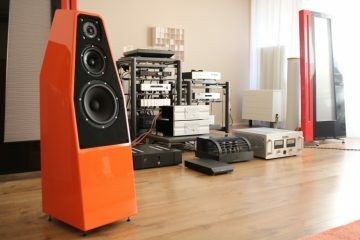 The thought that pops up in my mind next is the use of Naim’s own DAC! Sadly, Latham couldn’t supply the DAC at this time but I may still return to the subject in the future. 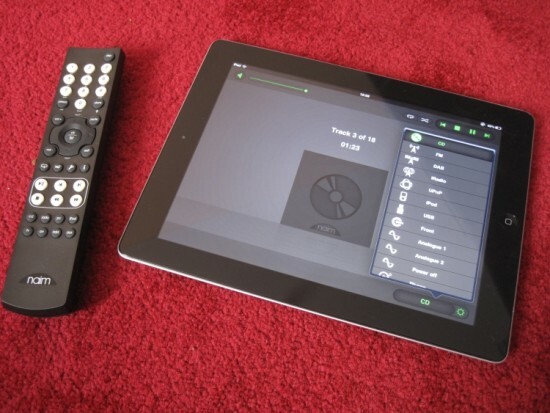 As I mentioned in the header, the UnitiQute makes use of an Apple-licenced interface and is capable of extracting audio in digital form, as well as controlling the connected i-device entirely via IR remote or another i-device. In my case, I connected the iPhone 4 to the Qute with the standard USB chargercable and controlled the lot with an iPad 2. This not only worked well, it also sounded pretty good. I didn’t have the Onkyo ND-S1 at hand anymore, but I strongly feel that the Qute sounds quite a bit better than that one. 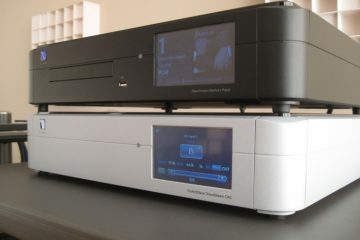 For example, the Qute has better slam, more drive and most importantly: it doesn’t have the Onkyo’s synthetic quality. I also didn’t have the Wadia 171i i-transport at hand anymore, but I’ve reviewed that one so thouroughly and it imprinted me with such a lasting impression that I’m confortable stating that, good though the Qute is with an iPhone, the 171i was just better. It was more open and livelier. This feeling was substantiated when switching the Qute back to the UPnP input and playing the same file from the NAS: worlds better. More drive, better dynamics and liveliness, more slam, more substantiality and better resolution. In short: more real. I have to wonder what part the USB cable plays in this because the Wadia 171i also sounded slightly lacklustre when connected with the adapter cable and only started performing its best when the iPhone was inserted directly. 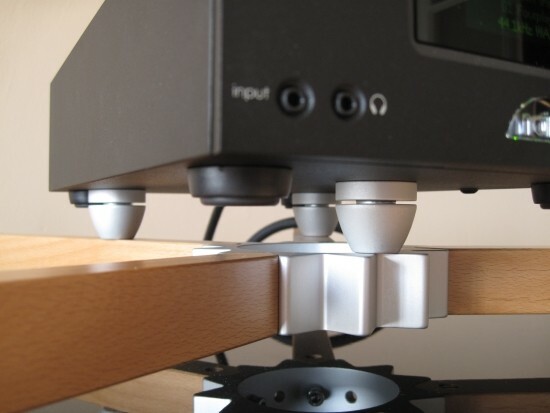 Perhaps a thought for Naim: to provide a docking port on top? Now here’s a surprise. I connected the Qute’s preamp outputs with very pedestrian van Damme interlinks and prepared for disappointment. But get this: even with its built in DAC (Wolfson, despite my prejudice and preference for Burr Brown/Texas) and with el cheapo interlinks (no more than 30 euros) the UnitiQute still managed to perform splendidly! The sound was upbeat, colourful, engaging, with full and solid bass and a nice big soundstage. Importantly, still there was no hint of dryness or treble ceiling. After swapping to the 360S, still fed digitally by the Qute, the first difference that stands out is in the treble. Sure enough, the Lev is more nuanced, more supple and also a little airier. It is more relaxed, but also has apparent greater resolution. The other difference is that the midrange is now again a little retracted and liveliness reduced. Guess I was right in saying that the Qute-360S combo may not be 100% ideal. Swapping back to the Qute’s own analog outputs made for a livelier and more solid sound that is quite appealing. Even swapping back and forth repeatedly, I had to conclude in some aspects, the Qute was just almost flawless. Bass quality, image solidity and soundstaging for example, were very good indeed, but after prolonged listening, what eventually stands out, and remained the deciding factor for me was that the Levinson was more gentle and refined. Not just in the treble but overall. The Qute is just a little more rough around the edges. Also, and even though this isn’t always in its favour, and the Levinson could definitely do with a little Wadia-upbeat-ness, it just sounds so luxurious, so nicely waxed and polished and I do like that in a component, just because life can be so rough already and when I get home I like to be bathed by my equipment. But my taste may not be yours and there’s much to say for a more slamming sound. The little Naim is so good that it makes even me second-guess my preferences. 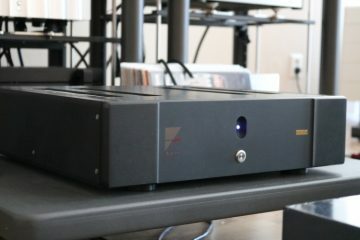 Even in the light of a 5 times more expensive dac the Qute manages to keep its own. 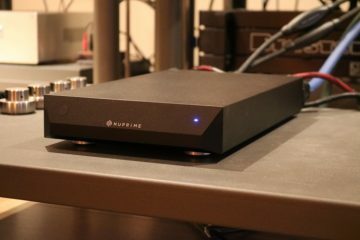 Let’s not mince words: the Qute holds up much better than any other streamer or cd player I have yet compared this way and reminds me of the Olive 04HD in terms of liveliness and communicative quality, yet beats the latter easily for treble airiness and fluidity, as well as soundstage width. 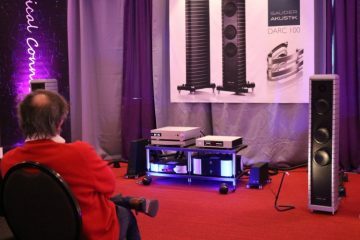 Latham supplied a speaker cable as well: a Naim NACA5 and that’s what I tried first. I connected the Nautilus 805’s from the cinema room directly to the UnitiQute, with the supplied Naim speaker cable. From the very first notes I played, I was impressed. There was immense power and drive, in spite of the 30 watts. Make no mistake: these 30 watts, even when driving the not entirely easy to drive N805’s, can produce sound levels that are just unbelievable. No matter how loud you crank it, the sound stays solid and powerful. Bass is full, articulate and deep, midrange is clean and clear and the treble, while not super-airy, was still extended, clean and natural. The UnitiQute’s sound was slightly dark, but not as if there was a ceiling on the treble, like with the PWD. There was no hardness or roughness to the sound, and there was plenty of detail. It even produced a huge soundstage if it was on the recording. If it wasn’t it would just play in an intimate manner. Never anything less than musically engaging, I can say very little against it. It was funny to realise that all this equipment, including the large Magnepans, were now just standing by and all this sound was coming only from the little UnitiQute. No highend accessories or expensive cables: only the UnitiQute. 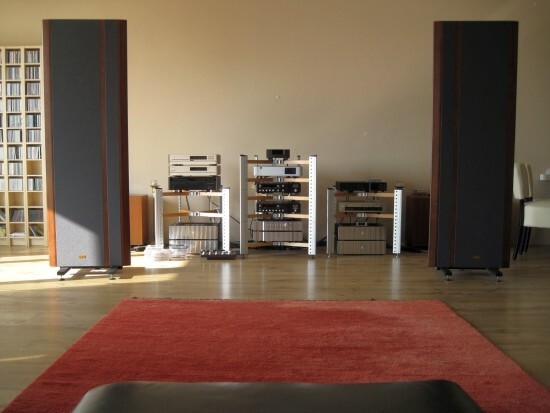 The classic Naim sound (brutal but communicative) isn’t so much present here. 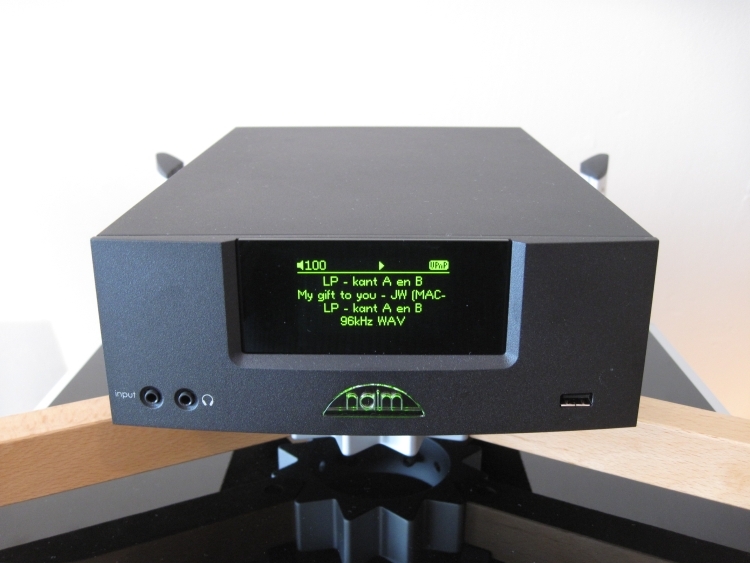 The little Naim can sound polite, smooth and intimate depending on the recording. But it doesn’t polish the sound. It doesn’t add a rose-tinted glow on all music. But Neither is it ragged or shouty. I’d say that it sounds highly-neutral. This sound was reminiscent of the Accuphase DP400 I had on visit a little while ago. 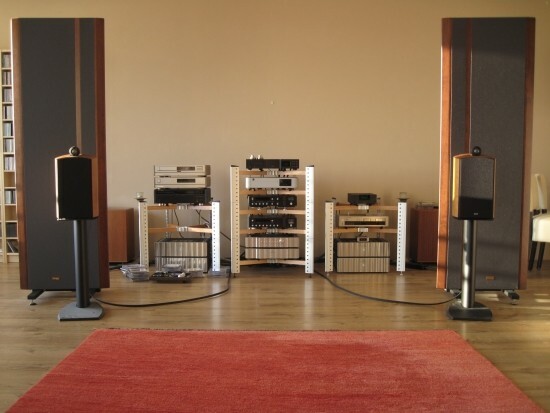 Like the Naim, the Accuphase just sounded neutral without going too much into a clinical or analytical approach. But there was a mild forwardness in the UnitiQute’s midrange. This made for excellent communicative skills but with some music could be a little too much for this old smoothness-loving guy. So, I swapped the Naim speaker cable for one of my own speaker cables, a Smooth sounding Cordial. Now the balance was better for me. I could hear a less well-articulated bass and PRAT was diminished but for me it was more emotional. I continued my tests with this cable and continued to be impressed. The UnitiQute sounded just as loud as my balanced sources which means that it has ample output. That’s fine for my preamp, and even better for poweramps, but you should check with your preamp to see if it can handle the Qute’s maximum volume setting. You may need to lower it to about 70 to avoid overdriving your preamp’s inputs. After I turned in the unit again, I was informed that the UnitiQute sounds more powerful when the speaker output is disabled in the menu, when they’re not used. I wasn’t aware of this feature and couldn’t test it. I have now extensively compared it to my high end ancillaries but how does it compare to real-world competitors in its own price range? I can be short about that: judged merely on its streaming qualities, the UnitiQute sounds worlds better than Sonos and Squeezebox and consorts. It really is a high end product that achieves such high sound quality that it isn’t even embarrassed by the PS Audio PWD. Add in the tremendous quality of its built-in amplifier and we’ve got a winner. As of now, based merely on its streaming capabilities, I have three favourite renderers: the Ayre QB-9 (not strictly streaming as it is a USB-DAC), the PS Audio PWD and the Naim UnitiQute. 2000 euro for an all-in-one solution that sounds fantastic? I’d almost call it a bargain! While this is a super-stable, super-intuitive and super-slick app, I find it lacking in some areas. For one, there’s no search within a track and furthermore there’s no playlist functionality. This concludes my criticisms already, so all in all still well done Naim. One small suggestion I’d nevertheless like to make is the removal of the “loading” message that appears whenever changing directories. Page changing is fast enough (faster than eLyric, controlling the PWD) so a bit superfluous and I find it is only distracting. Incidentally: the UnitiQute also works with the eLyric app. With much anticipation my finger approached the search bar but upon trying it, a message appeared stating that the renderer doesn’t support seeking. * Latham informed me that Naim are working on playlist functionality. They want to present a well-working solution that takes some time to develop. One other small thing is that once you select another input (CD for example) and return to UPnP, you’re back to the root of the drive. The directory you were in isn’t remembered. Now, this isn’t different from any other UPnP device I tried, except for the PS Audio PWD but that’s because the PWD’s network card is always on and when changing inputs the DAC merely changes input but the network card’s connection isn’t changed. Apart from this, there’s ab-so-lutely nothing to complain about. This is just a very, very well thought out product. While even Naim agree that WAV is the best format for optimal sound quality, the format’s lack of tagging means inefficient browsing. Following UPnP/DLNA compatibility, there’s many ways of viewing your directories: by artist, album, songtitle etc. But that only works with properly tagged files such as mp3 and FLAC. For WAV files, you’ll need to use folder browsing, which works fine, but means you can’t browse by song title for example. If you do so, you’ll find that there will probably be some mp3 or FLAC files but no WAV files are displayed. In short: you can only browse your directories as you would on Windows XP: a folder within a folder within a folder. The names you give the folders are irrelevant as the upper containing folder is the one that will be sorted by. Now, as I understand it, Naim have a solution for this in the shape of the UnitiServer. That device will make a library itself, much like iTunes does and by doing so, providing the neccesary artist/album/song and other info as well as retrieve and store artwork. 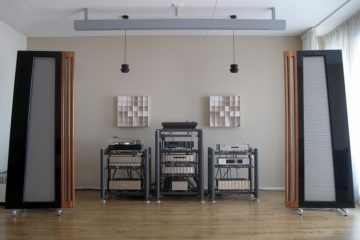 can I know which is the exact belden model? 83803? 19364? I always use 19364. Also see this article. All IeGO reviews were done using the gold plated variants. I found the copper ones to sound too dull, a bit like Wattgates. 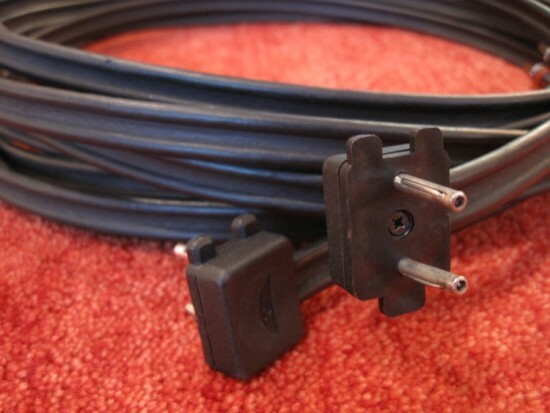 The HiFive cable is based on a standard 19364 Belden cable with good connectors and cryo treatment. Based on the cost of materials it seems to be good value and I expect it will sound fine.